We had friends over for dinner a few nights ago and they brought some fun vintage inspired coke bottles (filled with coca-cola of course) from Mexico. They're spitting their time between San Diego and Baja. You can read all about their journey here. She jokingly dared me to come up with an alternate use for them. 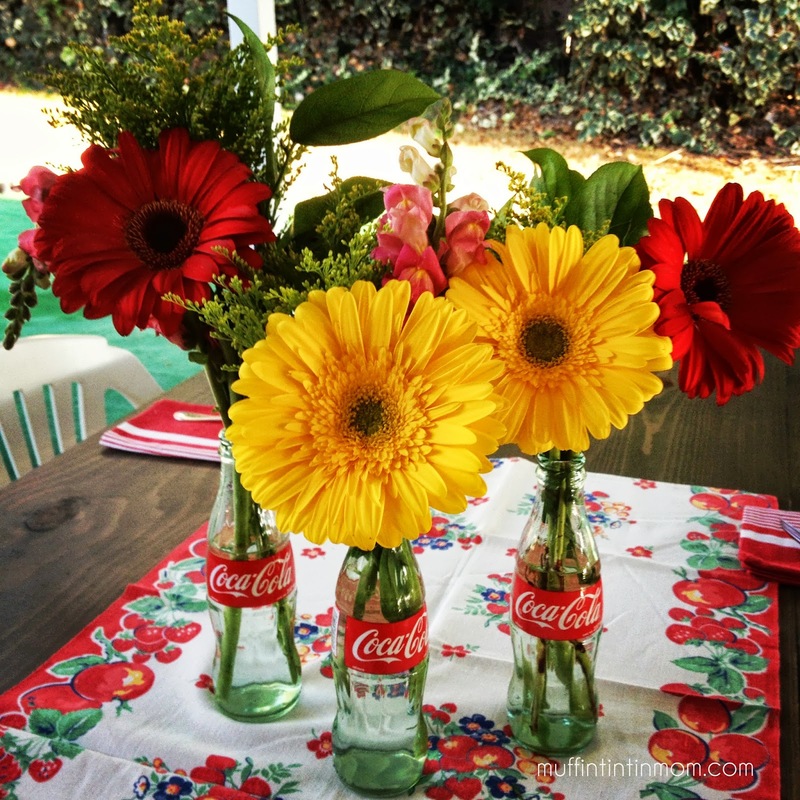 I decided to turn these mini coke bottles into flower vases by adding some fresh colorful flowers! Gerbera daisies just pack such a color punch, don't they? The vintage inspired look of the bottles, their small size, and the bold red and white colors made for a such a charming table centerpiece. Coca-cola from Mexico tastes just a little better than the U.S. in my humble opinion. You can find these cute coke bottles full of Mexican Coke at grocery stores like Fresh and Easy here on the west coast (although the bottles are a little larger than these). How about you? Have an alternate use or craft for these cute little coke bottles? That's a perfect use for them. I like straws when I drink so I may have put straws in one and left it on the kitchen counter. Your table looks lovely!